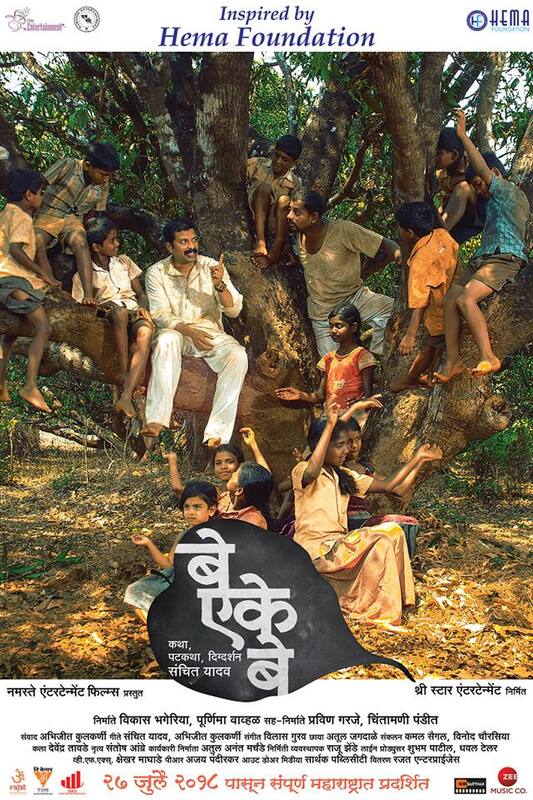 "Be Eke Be (बे एके बे)" movie stars Sanjay Khapare in a lead role. other actors in the film are Jaywant Wadkar, Purnima Vavhal, Sanchit Yadav, Santosh Ambre and many more. The film story is written and directed by Sanchit Yadav and produced by Vikas Bhageria and Poornima Vavhal. Synopsis: It is an inspiring story of Madhav Guruji, who dedicates his life to serve the society. He goes to a small village Khanavli and provides education to poor kids. However, he faces difficulties and obstacles. Will he succeed in his endeavour?